The Husqvarna Automower 520 has an inbuilt GPS system that creates a map of your lawn. It knows exactly where you want it to cut. It has been designed to run without an operator interaction giving you more time to do the things you love in your garden. The working time is adjusted as required, based on the grass growth rate and time of year. 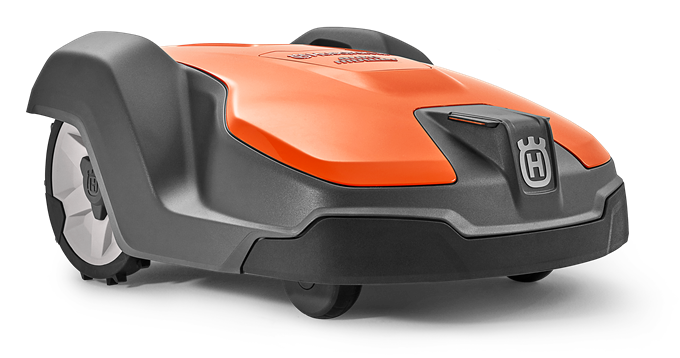 Automower is a feature that gives you full control over your robotic mower right from your smartphone. Start, stop and park commands, adjusting settings and receiving alarm notifications and tracking are all available through the app, wherever you are. You also get 10 years FREE connectivity included as well as this you will have access to the Husqvarna Fleet Services. This is a digital tool allowing you to easily monitor and control the robotic mower from your phone. You are in full control, only you can access the controls, notifications will alert you should anything happen such as a theft or the mower stops suddenly. You can conveniently control your mower from anywhere in world. This automower uses razor-sharp blades to cut every blade of grass little by little resulting in a healthy lawn all year round. The blades cut the grass into very small clippings so you do not need to collect them. They are a natural fertiliser for your lawn keeping it lush and green. Cutting little and often leads to more efficient cutting and healthier grass.